The fatal shooting of unarmed black 19-year-old Tony Robinson by a white police officer in Madison, Wisconsin, sparked protests in the city. Peaceful protesters took to the college town’s streets with chants of “Black Lives Matter”. Authorities say police fired after the officer was assaulted. The city’s police chief said he understood the anger, assuring demonstrators his department would defend their rights as he implored the community to act with restraint. 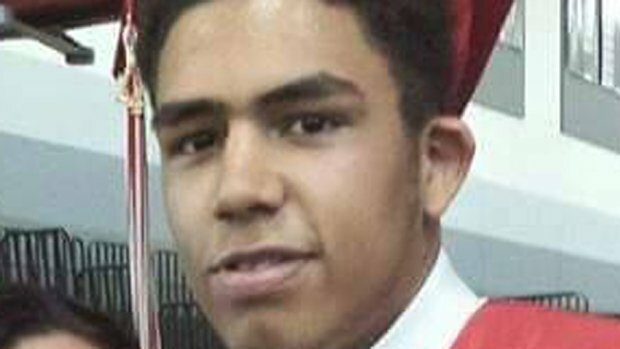 Tony Robinson died Friday, March 6, after being shot in his apartment following a confrontation with Officer Matt Kenny, who had forced his way inside after hearing a disturbance while responding to a call, authorities and neighbors said. Madison Police Chief Mike Koval on March 7 said Matt Kenny was injured, but didn’t provide details. It wasn’t clear whether Tony Robinson, who died at a hospital, was alone. “He was unarmed. That’s going to make this all the more complicated for the investigators, for the public to accept,” Mike Koval said of Tony Robinson. The department said Matt Kenny would not have been wearing a body camera. Several dozen protesters who gathered outside the police department on March 7 held signs and chanted “Black Lives Matter” – a slogan adopted by activists and protesters nationwide after recent officer-involved deaths of unarmed blacks – before walking toward the neighborhood where the shooting took place. The shooting came days after the U.S. Justice Department said it would not issue civil rights charges against Darren Wilson, the white former Ferguson, Missouri, officer who fatally shot 18-year-old Michael Brown, who was black and unarmed, after a struggle in the street in August 2014. Mike Koval said Matt Kenny, a more than 12-year veteran of the Madison department, also shot and killed a suspect in 2007, but was cleared of wrongdoing because it was a “suicide by cop-type” situation. In that shooting, Matt Kenny responded to a 911 call of a man with a gun and shot the man twice after police said he pointed the gun at officers. It turned out to be a pellet gun. Matt Kenny has been placed on administrative leave pending results of an investigation by the state’s Division of Criminal Investigation. Madison, about 80 miles west of Milwaukee, is the state capital and home to the University of Wisconsin’s flagship campus. About 7% of the city’s 243,000 residents are black. Neighbors said Robinson’s apartment is in a two-story gray house on Williamson Street, known to many as Willy Street.